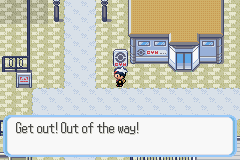 Upon exiting the gym, you'll see a Team Magma/Aqua grunt being chased by a Devon worker. Before pursuing them, there's a few things you can do in Rustburo City. 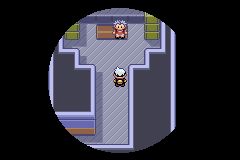 Start off by entering the building in the southwestern most part of town, and go up the stairs to the second floor. Speak to the little girl here to get a Premiere Ball. 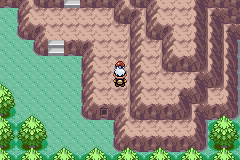 Exit the building and enter the one directly west of the Pokémon Center. 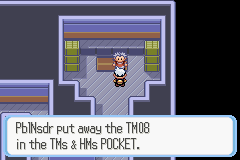 Talk to the man here and you'll receive the HM01 - Cut. 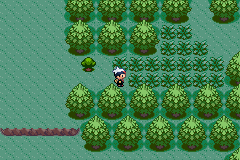 Teach it to one of your Pokémon so that you can cut down any trees blocking your path. 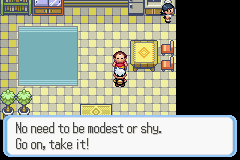 Finally, enter the Pokémon School and speak to the instructor. 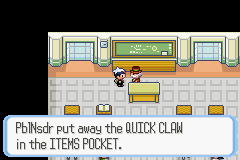 He'll give you the hold item Quick Claw. 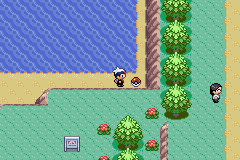 After making your rounds, head north to Route 115. 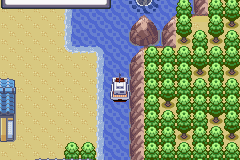 The only thing to do here is grab the Super Potion in the Item Ball on the beach. After you're back in Rustboro, head east until the Devon worker stops you. He'll make his case and you'll need to help him recover his lost goods. 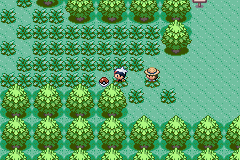 Press forward to Route 116. 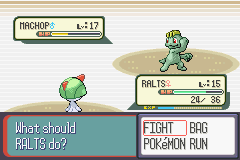 There's four trainers to battle here, as well as a Repel and X Special conclealed in Item Balls. Enter the rocky ledge to your left using cut. 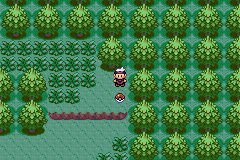 There's two avoidable trainers here, as well as 6 Pinap Berries and 4 Chesto Berries. 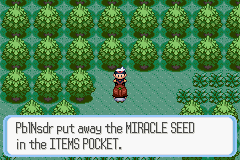 Just below the berries you can pick up an Ether in an Item Ball. 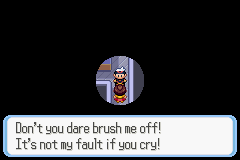 Heal up at the Pokémon Center if you wish, then head into the cave. 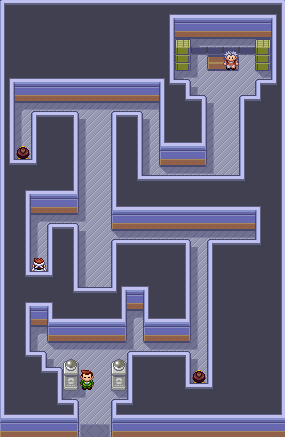 Inside the tunnel you can pick up a Pokéball in an Item Ball in the Northeast corner. 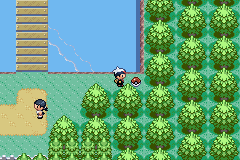 Afterwards, head east to confront and battle a Team Magma/Aqua grunt. They'll have a single Level 11 Poochyena, and should be defeated with ease. 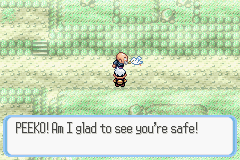 The grunt will offer up the stolen Devon Goods and Mr Briney (the old man who resides in a cottage near Petalburg Woods) will come recover his stolen Wingull, Peeko. 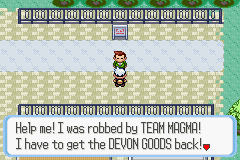 Head back towards Rustboro and speak with the Devon Worker to return the goods. 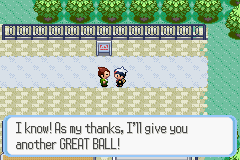 He'll give you a Great Ball in return for your heroic deed. 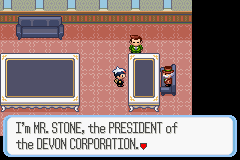 He'll then take you to the Devon Corporation building and introduce you to the President, Mr. Stone. He'll ask you to bring the Devon Goods to Slateport City and stop by Dewford Town on the way to deliver a letter to Steven. He'll also give you the PokéNav system, which details trainer encounters, serves as a Hoenn Map, and showcases Pokémons' contest traits. 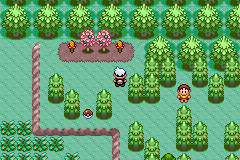 Head south to exit Rustboro City, you'll notice May/Brendan is here. 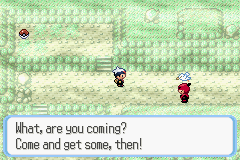 They'll be sure to tell you about their Pokédex and point you in the right direction towards Mr. Briney. Continue south past the bridge and use cut on the tree here. You can then pick up an X Accuracy from the Item Ball. Enter Petalburg Woods and cut down the trees to your right. Talk to the girl here to receive the Miracle Seed. 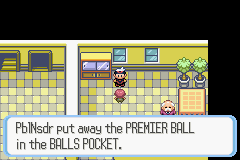 Follow the path south, making sure to pick up the Great Ball and X Attack in the two Item Balls. Keep jumping down the clifs until you're out of Petalburg Woods. Enter the cottage here and speak with Mr. Briney. 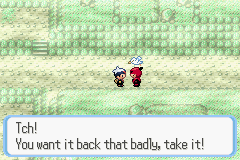 He'll agree to take you to Dewford Town in exchange for saving Peeko. Say yes and set sail! 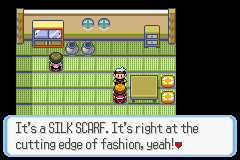 Enter the building closest to the dock and speak with the boy at the table to receive the Silk Scarf. 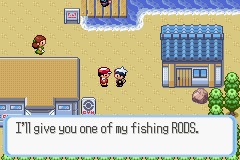 Next, speak to the man in red next to the gym and he'll give you the Old Rod, with bonus instructions on how to use it! 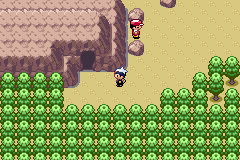 Use the cave to the northwest and the two trainers in the area to grind if you need to, and enter the gym when you're ready.